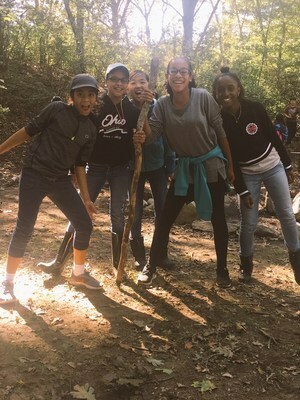 Our sixth graders visited Nature's Classroom in Wakefield, RI at the beginning of October for their annual overnight field trip. Students participated in classes like Zombie Apocalypse (to learn about germs), took nature walks, explored the marsh, learned to build a fire, and even dissected a pig! Community Prep 6th-graders took walks in the wild, painted and got to know each other over three days and two nights. 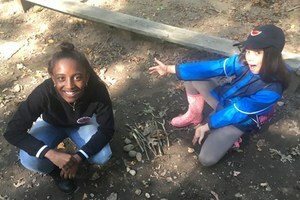 Nature’s Classroom literally uses the outdoors to teach students about food waste, environmental challenges and cooperative learning. The 6th grade is doubled to two classes of 36 kids—18 returning CP students and 18 from other schools, and Velasquez says the trip is about bonding, too. “With group-building activities it gives the new kids and the kids who have been with CP a chance to bond outside the classroom."